If you have an interest in Salt Spring Island's drinking water, you've come to the right place. 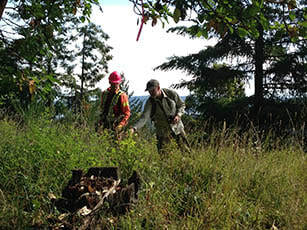 The Water Preservation Society has a long history of protecting drinking water sources on Salt Spring, and we continue to do this work with a "thirst" for staying true to our purposes: preservation and protection, research, and public awareness. We welcome volunteers and donations. Please contact us at the address below. More info on the project and volunteering. Join & Volunteer to help us restore native plants on WPS property. archived here on the website. 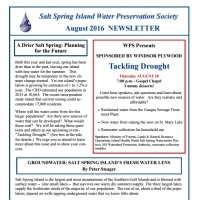 Please make cheques payable to Salt Spring Island Water Preservation Society or join online through Canada Helps. Like us on Facebook to receive updates about events and issues!